The official website of Blythe has news about their upcoming collaboration with CLAMP. 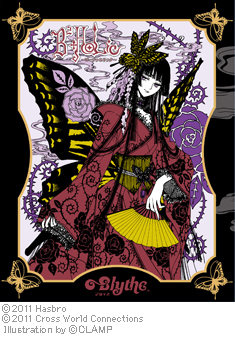 As previously announced, CLAMP is designing a Blythe doll called B2・HOLiC based on Yuuko’s character from XXXHOLiC. It will be a limited production of only 1000 units. The release date is set to October costing 26.250 yens. 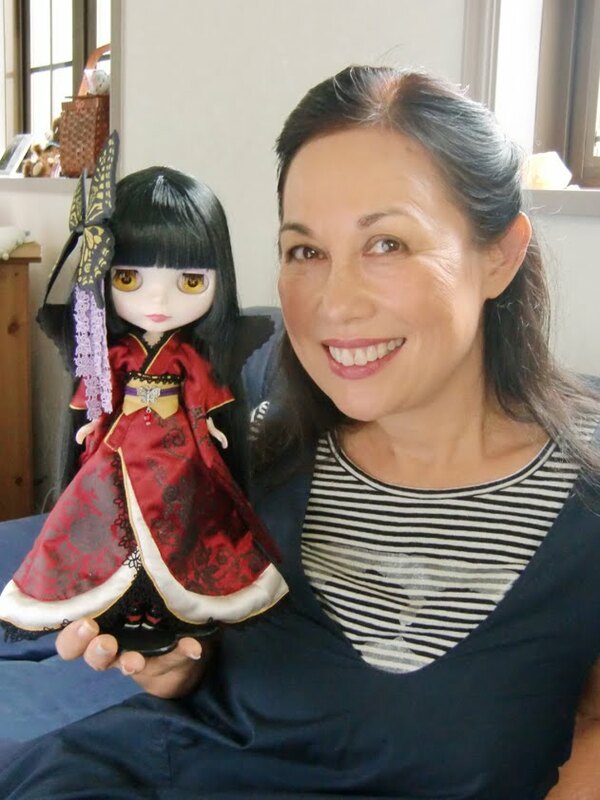 The doll will be formally revealed to the public at the Blythe shop Junie Moon Daikanyama on October 15, where it will be sold in advance. To celebrate the release, there is going to be a sign session with CLAMP on October 23. More details will be announced later this month. In addition, an exhibition featuring XXXHOLiC illustrations will be held in Shibuya, Tokyo, from October 4th to 30th. Excited about the sign session! I believe this is the first one since 2009 in Japan Expo. I still keep drooling over the Yuko illistration…. It’s a very gorgeous illustration indeed! The picture is so pretty I hope it comes out in a bigger size. I thought this doll would disturb me, and it has o.o. What has been seen can not be unseen. Lovely Yuuko illustration though. Same here >.< (Blythe dolls are a bit scary…). Blood-C episodes 8 and 9 are up and subbed at Underwater btw. I watched them and I need to find some time to write about them. If CLAMP insists on having their characters made into half-chibi dolls, at least make them into a Pullip doll, like this doll of Miku. I’m not fond of those either but their faces are much more sophisticated and better scultped. I don’t like them either! I also find them scary. But I am enjoying this for the collaboration factor. Então, tinha visto as imagens e até enviei p/ vc a algum tempo mas acho que vc não recebeu. Nem precisa falar que amei a parceria. Só sei que com esse número limitado de peças, será uma facada. Pior que valorizam rápido demais. 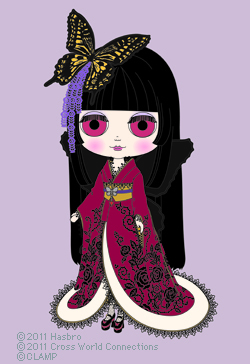 Sei que as Pullips tem a caracterização melhor mas não faz muito sentido. Elas são colecionadoras de Blythe tb! Penso dessa maneira. Uma ótima quinta p/ vc! I’m glad the Blythe is still going on steadily.